The Emeryville city council voted last meeting to a $700,000 fiscal bailout for the Emery Unified School District by forgiving a loan to the District made several years ago to remodel the Anna Yates Elementary School. The School District has been paying interest on the original $2.94 million loan made from the defunct Emeryville Redevelopment Agency but now the principle is due and District officials told City Hall, they would have to pull the City's portion of the loan, the $700,000, from the School District's General Fund, money they need to cover operating expenses. The loan to improve the elementary school was made in 2008, part of a $9 million remodel, just as the real estate market crashed and Emeryville's assessed valuation plunged, sinking the District's prospects at easily paying back the loan. Leftover money the state granted the former Redevelopment Agency is divvied up among the different taxing agencies such as AC Transit and Alameda County, so the City's portion of the $2.94 million loan is $700,000. A small portion of the original loan also went to some minor work at the Secondary School, also known as the High School. That school is now being demolished to make way for the new Center of Community Life on San Pablo Avenue. Critics have cried foul since the money to remodel the elementary school is now to be wasted if the District is successful in its goal to abandon Anna Yates and move the children over to the high school site. If the city council didn't forgive the loan, the School District said they would be faced with making payments out of its General Fund for a building they no longer use as a district school, the same net effect as a homeowner with an upside down mortgage. Council member Jac Asher, the sole NO vote to forgive the loan on the council told the Tattler, "This is $700,000 out of our [the city's] General fund. Our job, among other things, is to provide for the Recreation Center's programs. $700,000 would have gone a long way in terms of youth programming in our city." Ms Asher, it should be noted is the only council member with children of her own actively enrolled in the District, the only such council member in at least the last 30 years. The School District has noted its General Fund is not sufficient to cover all the operating expenses at the new proposed Kindergarten through 12th grade school at the Center of Community Life, a combined school and community rec center. District officials have expressed the need for Emeryville voters to again pass Measure A, the school parcel tax approved twice in the last few years. The proceeds from Measure A are now necessary to pay to run the school part of the Center of Community Life. Measure A will again appear on the ballot for Emeryville voters in 2013. The Anna Yates Elementary School remodel in 2008 cost some $9 million. The District wants to use the school for some other so far unspecified use after the Center of Community Life is finished and the elementary school is abandoned in 2015. A cadre of parents and residents have demanded the Anna Yates school not be abandoned, but they have been rebuffed by the District. searched nearby yards for a possibly armed man. 12:24 p.m. after an hourlong search, police said. Police initially got a report about 11:30 a.m. of a man with a gun in the 2500 block of Market Street. into a yard on the 900 block of 26th Street -- across the street from the school. German shepherd named "Ingo" found the suspect in the rear of a house on the 2500 block of Myrtle Street. It wasn't immediately known if the man had a second weapon. The Emery Unified School District hired a new school superintendent, J.L. Handy years back after a long executive search. Mr Handy had such a poor a record of fiscal mismanagement, he was fired from Compton Unified School District before a state takeover of that district. Regardless of his record, officials at Emery thought he would work out fine here and so Mr Handy was hired with great fanfare. All those responsible in Emeryville for the 'Handy debacle' have since been ousted save one: Council member Nora Davis was the chairwoman of the search committee that recommended Emery Unified hire Mr Handy. As Emery Unified proceeds with its plan to rebuild the schools, including closing the newly remodeled Anna Yates Elementary School and moving it over to the High School site, a move which will cost Emeryville taxpayers $107 million paid over 40 years, it can be instructive to see where we came from as a school district...our recent history. Below is a snapshot of a cocksure but deluded school district and the fallout of one poor decision; the hiring of J.L. Handy as superintendent. Headlines and snippets of stories are from the Los Angeles Times. The Compton Unified School District's Board of Education fired Supt. J. L. Handy on Tuesday and named Area Supt. Harold Cebrun as his interim replacement. The 4-3 vote to dismiss Handy was announced after a two-hour closed session. The board then voted 5 to 2 to name Cebrun, who is in charge of Dominguez High School and its feeder schools, as acting superintendent. Handy, who was placed on probation last month, has been criticized for mismanagement. J.L. Handy, fired in 1992 as superintendent of Compton schools amid allegations of fiscal mismanagement just before an unprecedented state takeover, is under investigation for what officials describe as a similar pattern of conduct in the Bay Area community of Emeryville, where he is school superintendent now. The former superintendent of an embattled East Bay school district has been accused of criminally misusing a work-issued credit card and illegally guiding lucrative school district contracts to a girlfriend in Orange County, authorities say. J.L. Handy, who was fired nine years ago as superintendent of Compton's schools amid allegations of financial mismanagement, recently surrendered to police and is free on $15,000 bail. J.L. Handy, the superintendent of a small, financially troubled East Bay school district, has resigned in the face of a mounting investigation into his financial practices. The 60-year-old Handy, who was fired as superintendent of Compton schools in 1992 amid allegations of financial mismanagement just before an unprecedented state takeover, has been the subject of a recent probe into his activities as head of the 900-student Emery School District. The Emeryville Unified School District plans to close its middle school and launch a parcel-tax campaign to bolster a shaky budget. During the past two years, the district received a $2.3-million state bailout; residents ousted school board members; and former Supt. J.L. Handy was sentenced to five years' probation for using school funds for personal business. 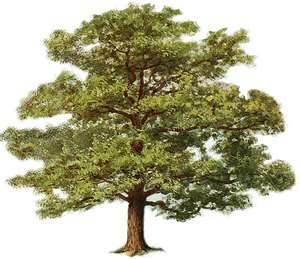 Parkside Trees: Whatever Is Most Cost Effective? 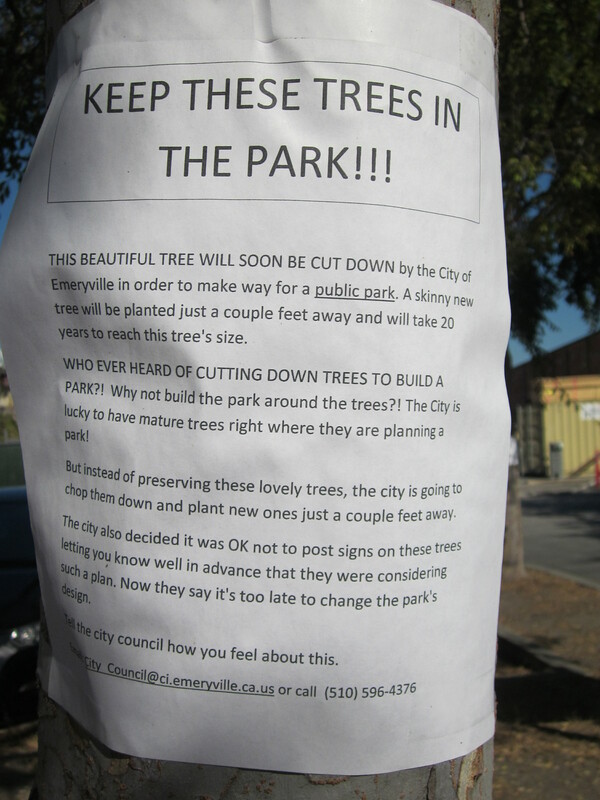 The Emeryville city council finally resolved the contentious Parkside tree issue last Tuesday night and their vote serves as a stand-in for all that ails our town; another reminder, as if you needed it, of who gets served by our City Hall and who gets left wanting. Readers will remember the developer of the Parkside condominium project wants to cut down all the street trees surrounding the project site but residents rallied and convinced the council to change their earlier vote and save nine large mature trees along Stanford Street in what will be a future small park. The council vote Tuesday was to save the nine trees but they specifically rejected saving them in the most cost effective manner. Instead of saving the trees by just leaving them as they are, they opted instead to dig them up, place them in boxes and store them off site for a year or so until the park site is ready for replanting them. The developer, Archstone Development Group expressed interest in cutting down all the trees as a way to save money...something or other about their profit. But Council members Nora Davis and Kurt Brinkman suggested the developer's and the resident's desires both could be met by their plan to dig up and box the trees, a "good compromise" as Ms Davis called it. The fact that Emeryville residents, not the developer would pay for digging up, boxing, storing and re-planting nine very large trees was left unmentioned Tuesday by the two council members. It must have slippped their minds. Council member Jac Asher had a better idea in mind; she motioned that Charlie Bryant, the Planning Director should determine which idea is the most cost effective; the save the trees where they are plan or the dig up and box the trees plan. Mr Bryant would then oversee the more cost effective of the two. Council member Ruth Atkin liked Ms Asher's motion and offered a second. With mayor Jennifer West absent, the motion advanced where it died as a result of a NO vote from Nora Davis and Kurt Brinkman, the Broken Record Twins. So now the city must pay to dig up the trees, store them and re-plant them because....well... Ms Davis and Mr Brinkman wouldn't say. We think it has something to do with Archstone's desire for a greater profit. It wouldn't be the first time for these two for this kind of vote and it won't likely be the last. This harebrained tree idea of theirs is not a win-win...it's not a "good compromise"...it's just bad governance. And once again the Broken Record Twins show us where their allegiance lays. The Emeryville city council voted last Tuesday to study the pros and cons of allowing a medical marijuana dispensary in town. The vote will establish a medical marijuana task force to be comprised of appointed Emeryville citizens and business leaders. The job of the task force will be to determine if much needed revenue for the city offsets possible problems brought on by a dispensary. If the task force recommends approving a dispensary for Emeryville, the council would have to rescind an existing ordinance specifically forbidding medical marijuana dispensaries before it could vote to move forward if it were so inclined. The council heard a presentation made last January to consider setting up the task force. Asher telling me what to do. 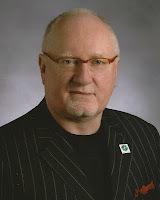 Council meeting attendees Tuesday night witnessed an unseemly spectacle: council member Kurt Brinkman, acting as mayor in mayor Jennifer West's absence, moved to silence a citizen called on to speak by another council member and then forbid a different citizen from yielding her speaking time. The silenced citizen, Mayor West's husband, Adrian McGilly was making a PowerPoint presentation about a contentious issue in which he was offering criticisms of the city staff when Mr Brinkman cut off the presentation, citing a three minute public speaking limit. Mr Brinkman curtailed the presentation despite the fact that his colleague, council member Jac Asher had personally requested more time to see Mr McGilly's power point presentation. After Mr McGilly returned to his seat, another citizen announced she wished to yield her speaking time to Mr McGilly but councilman Brinkman said he would not allow it. And so council member Kurt Brinkman, upon hearing criticisms of the city staff from the citizenry, in one fell swoop moved to disavow two important and longstanding Emeryville free speech precedents; the championing of a citizen's idea by a fellow council member and the yielding of speaking time from one citizen to another. Too much of this kind of thing is dangerous. Councilman Brinkman's rebuke of councilwoman Jac Asher's wish to hear the rest of the citizen presentation Tuesday night marks a low point in Emeryville city council collegiality but more egregious was the denial of a citizen yielding her time. This is a practice allowed in Emeryville by other council members in the past and furthermore, our neighboring cities have provisions to allow it. To see Mr Brinkman now arbitrarily move to censor this type of citizen stakeholder engagement reeks of executive hubris. We say this issue of citizens being free to yield their speaking time is not finished with Mr Brinkman's dictatorial edict Tuesday night. 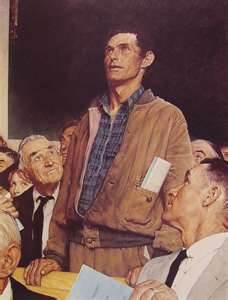 The fact that time yielding has been allowed in the past here means that individual council members are now taking the initiative to silence citizen speech they may not like and the Brown Act is clear about this kind of stifling of unpopular speech: council members don't enjoy that level of freedom. We will challenge this. Stay tuned. A video of the event can be viewed on the Emeryville Property Owners Association website HERE. 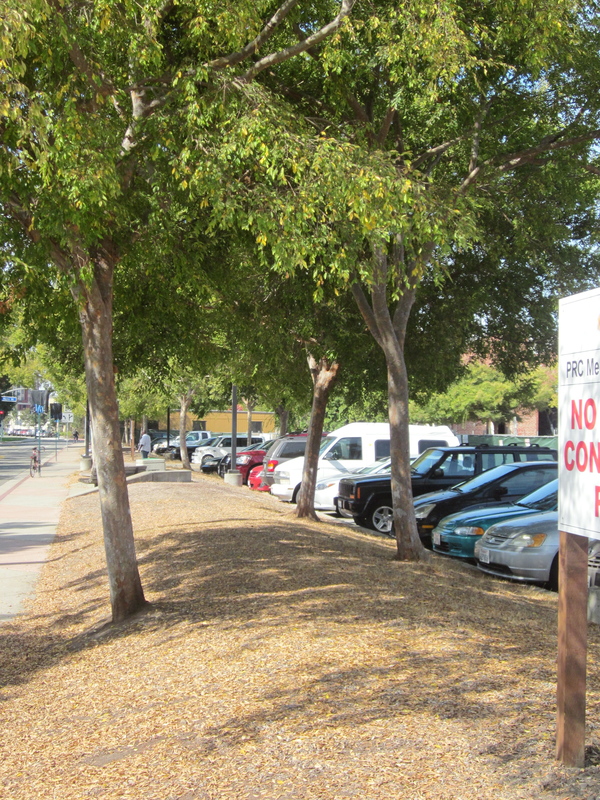 The Emeryville city council voted Tuesday night to save nine of the 33 most contentious trees slated to be killed to make way for the Parkside condominium project. The housing development project raised the ire of Emeryville residents when the city staff and the developer conspired to kill every existing street tree to ease construction of the project. completed in the last 15 years. 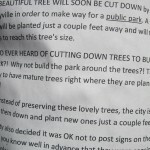 Residents were especially dismayed by the prospects of cutting down 33 mature trees along Stanford Street in what is to be a small park adjacent and associated with the project, as widely reported by The Secret News. The city council responded to residents complaints by scheduling Tuesday's reconsideration of an earlier green light to start cutting by the council. The new plan now as approved by the council is to dig up and temporarily pot the nine trees in large boxes and store them off site. 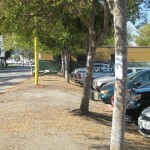 The trees would later be re-planted in roughly the same spot at the new park upon completion of the project. 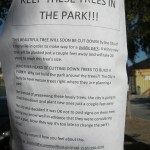 The arborist associated with the project has determined the nine mature trees to be saved as "good", the highest rating. All of the other street trees on the city block circumscribed by Powell, Doyle, Stanford and Hollis streets either have already been killed or will be to make construction of the project easier. 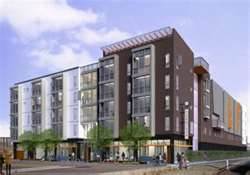 The nation-wide condominium developer, Archstone, has done other housing projects in the Bay Area including the Archstone Apartments on Shellmound Street in Emeryville. Back in the late 1990's, Emeryville mayor Nora Davis headed up a search committee formed to find a new school superintendent and after a nation-wide search, they recommended that the Emery School Board hire former Compton School District superintendent, JL Handy. Even though he had overseen the bankruptcy of the district in Compton, the committee felt Mr Handy would work out well here. In its ongoing investigation about what went wrong with the street trees at the Parkside Project on Powell Street, The Secret News along with Emeryville resident Adrian McGilly uncover a subterfuge program meant to further business interests at the expense of residents interests, including prevarication by the city staff. 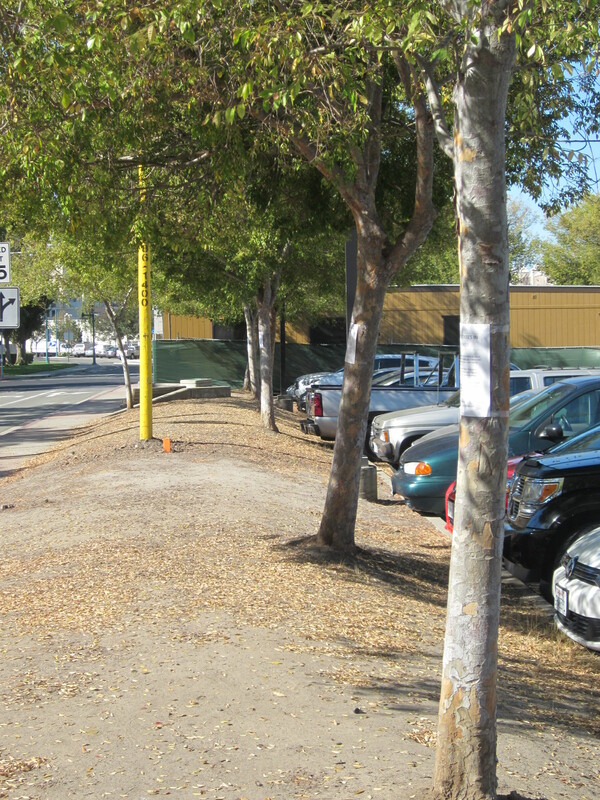 In a February 7, 2012 memo to the City Manager and the city council, Planning Director Charlie Bryant said flatly the reason the trees would need to be cut down was to "accommodate the park and the [final, not temporary] parking lot". As the still unfolding story reveals, that was a fabrication by Mr Bryant. ﻿ Council Member Jac Asher has put on the agenda for the next City Council meeting (Oct. 16th) a discussion of whether the city should change the design of the Parkside park to include some or all of the existing trees. Council Member Asher’s willingness to do this shows her commitment to transparent government. It shows that she wants the freedom to cast her votes on the basis of complete information, not partial information cherry-picked by city staff. It shows that she values the right of Emeryville’s residents to receive proper notification (i.e. 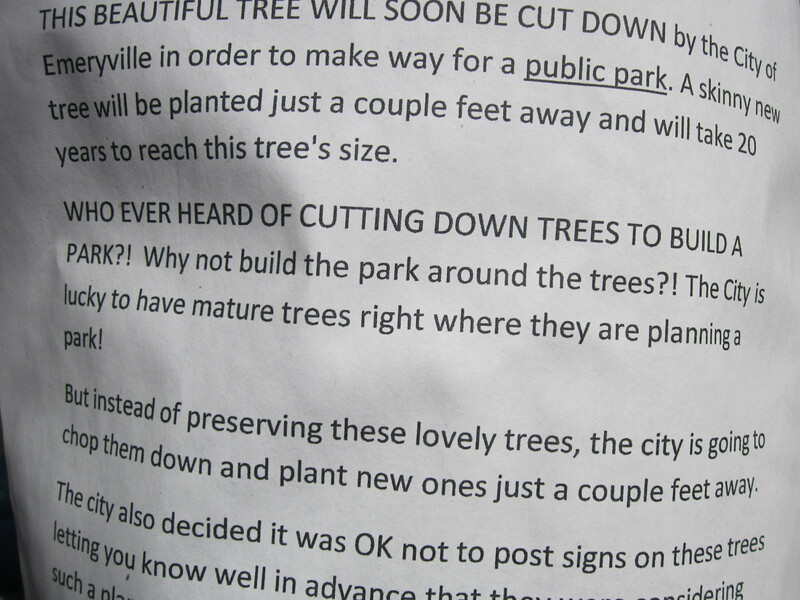 signs posted on the trees) when the city is contemplating the removal of its trees. Everybody knows California public schools, once vaunted and esteemed as the best in the nation have been severely degraded by decades of indifference by Sacramento and the anti-tax, anti-government culture of an ascendant political right wing across the state. This shameful legacy has brought us where we now find ourselves; a broken education system, starved for resources and in need of emergency money to stop the drive over the cliff for our schools. Later, a more sustained reinvestment in the schools needs to be taken up to fulfill our commitment to the progressive idea of public education. This emergency cash infusion is where Proposition 30 comes in; it will fill in for school busting poison pill 'trigger cuts' recently implemented by politicians in Sacramento. Emeryville schools are especially at risk now: the Emery School District is pursuing a feckless fiscal plan to fund the new proposed school rebuild project, the Center of Community Life, that once voters get hip to, will likely turn them off to giving the School District any more money. However, the new school will need money from a new parcel tax for its day to day operational budget or else Emery will see more teacher lay-offs. After Emery has spent hundreds of millions of dollars, including $107 million to close down the existing elementary school, Proposition 30 can help, in the likely event that Emeryville taxpayers' generosity has reached its limit for education in our town. Proposition 30 gets some money from a 1/4 cent sales tax increase but the lion's share comes from a tax hike on those who make in excess of $250,000. Voters should beware of Proposition 38, also an education funding measure on this November's ballot but it's funded by an across the board tax increase, including poor people making just $7400 per year. Proposition 38 however limits the tax increase to 2.2% for those making more than $2.5 million per year. Proponents are calling for a shared sacrifice for Proposition 38 but we say the working class and the middle class have already sacrificed enough in the new America (and California) we have built. Funding for Proposition 30 on the other hand is premised on the progressive "ability to pay" notion, the idea, once commonplace but now foreign in today's Republican ascendant America, that holds those with the greater ability to pay should pay the greater amount. Even if Emeryville voters do pass a new parcel tax to help the schools operational budget next year, Proposition 30 will directly help fund these desperately needed expenses for Emery. It's the best chance we have to stave off another round of teacher layoffs or worse. Let's get the rest of the State to help us avert a operational budget disaster for Emery Unified School District...consider the let down that will come after we pay so much money for a new school only to be too broke to run it properly. 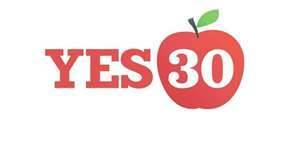 Please consider a yes vote for Proposition 30; it will help make sure we don't throw good money after bad in our quest to build an excellent school system here at Emery. Timing, potential candidates, RULE procedures. In addition to the above, what are our other priorities? Some ideas include the remaining land to be developed in town, including the Sherwin Williams site and the plot next to Bay Street. Ken Bukowski's EPOA ballot initiative for a study session at 6:30 -7:15.
moving elections to even years (higher turn out). I would be very interested to see what RULE folks think about these issues. it would be easiest for me to talk with you about this, or you can wait until I write up my thoughts... but that is not likely to happen before Sat. I am sorry that I cannot attend as I am on a panel at UC Berkeley. Nov. 6 will have the next trees study session at 6:30-7:15. 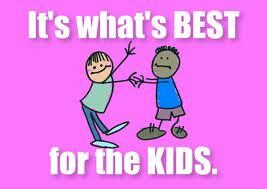 Is It 'What's Best For The Children'? Attend any contentious Emery School Board meeting and you'll likely hear from a board member they're doing what's "best for the children." This Pavlovian response can be heard virtually whenever a dissenting citizen has the audacity to express an alternative viewpoint to the solid unyielding policy wall usually presented by the Board. The idea is that the Board is always working in the children's best interest, you understand. Citizen followers of the Emery School District might find this sentiment fatuous, given the sorrowful history of District policy as chronicled by the Tattler and other media but contained within it is a more insidious, yet revealing meme. This didactic claim; they're only doing whats' best for the children, is outwardly meant to show their virtuous dedication to their job but what it really does is subtlety remind everyone that what parent and citizen dissenters want then is expressly not what's best for the children. The Board has a lock on what's best for the children; outliers are just that, outliers. In a school district not as top-down as Emery, this parsing of would be innocuous language might seem overwrought but here it just serves to clarify: this School Board is in charge and challengers among the rabble will not be listened to. One might think the School Board, having recently been the target of so much agitated citizen and teacher trepidation would be sensitive to the haughty and dismissive nature of this kind of 'we know what's best for the children' talk, but no. Not here. Here, they can't seem to help themselves, the culture of quashing dissent being so intrinsically ingrained. To anyone so bold as to venture to a School Board meeting armed with a good intention and a good idea that might be a change from the staus quo, realize, it's the School Board that has the best ideas for what's good for the children. Your idea is just disruptive. But hey, "Thanks for coming!" as they never fail to say.